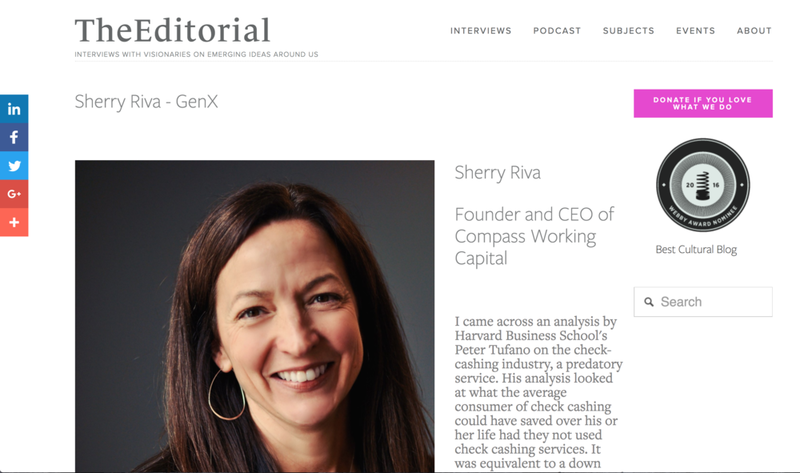 As part of TheEditorial's "Interviews with Visionaries on Emerging Ideas Around Us", Compass Founder and Executive Director, Sherry Riva, talks with Heidi Legg about all things Compass. Click the image below to read the full article. 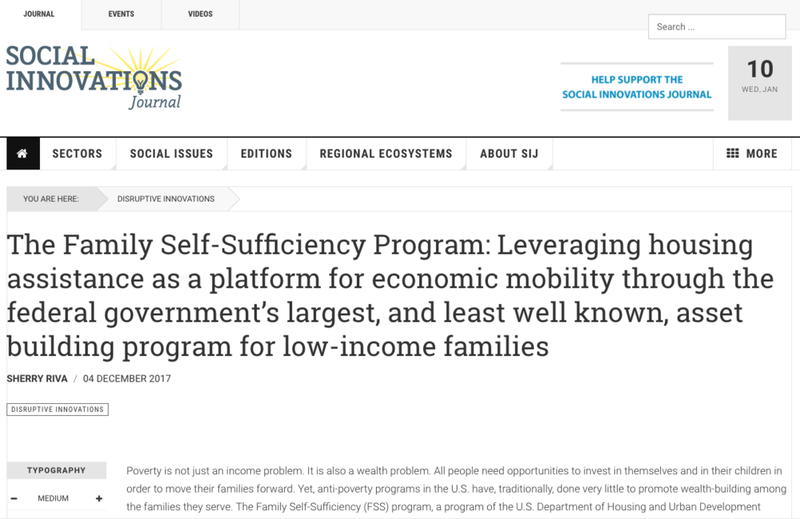 The Winter 2017 issue of the Social Innovations Journal is a collection of articles on promising social innovations that have been introduced in Greater Boston, including a piece by Sherry Riva, Compass's Founder and Exectuvie Director, on the organization's innovative, evidence-based model for the federal Family Self-Sufficiency (FSS) program. Click the image below to read the full article and view the rest of the issue. As part of their "Agents for Change" series, PBS NewsHour published this piece about Compass Working Capital and our work on the Family Self-Sufficiency program. Click the image below to read the full article. As part of a series presented by GLG's Social Impact Fellowship, Compass Founder and Executive Director Sherry Riva was profiled by Nationswell, a national digital media company that focuses on social innovation. Click the image below to read the full article. From the Field publishes a brief on Compass Working Capital. Compass featured in the Federal Reserve Bank of Boston's Spring 2014 issue of Communities & Banking. Compass was featured in the Chronicle of Philanthropy! Click on the image below to read the full article.